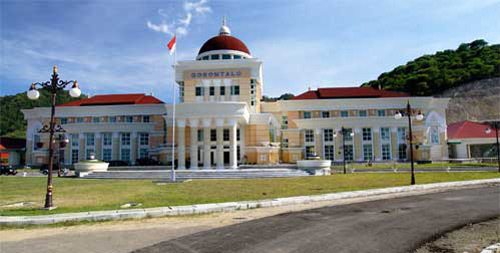 Baiturrahim Mosque is the old mosque in Gorontalo city area. The mosque build to be concurrent with the development of town Gorontalo, which is new removed from Dungingi to Gorontalo city in 1140 H or 1726 M by King Botutihe. The mosque is build in the center of government empire (Botutihe) such as: Yiladiya (King House), Bantayo Pobuboide (Market Building / Deliberation Hall), Loji (Residency house), Apitaluwu (king security and safety functionary) and Bele Biya / Bele Tolotuhu (empire functionaries houses).